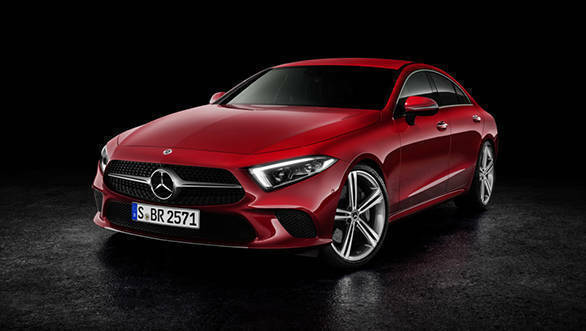 In line with what OVERDRIVE reported sometime back, Mercedes-Benz India is set to launch the Mercedes-Benz CLS four-door coupe in India on November 16. A single variant will be available at launch, the CLS 300d. This car will be powered by the same 2.0 litre diesel motor seen on the facelifted top-spec C 300d sedan that the company launched a couple of months back here. This motor puts out 245PS and 500 Nm in the C -Class and a similar state of tune is expected in the new CLS as well. A nine-speed auto will handle transmission duties. 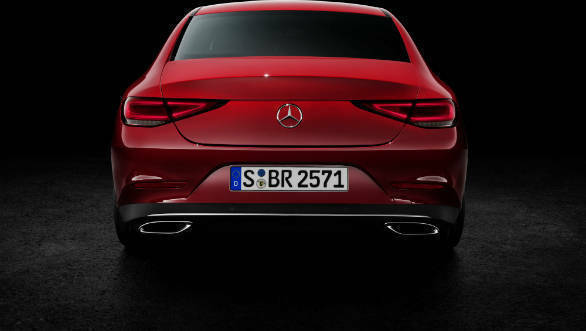 Mercedes-Benz had earlier revealed that despite a slightly less aero-efficient design than the new E-Class the new CLS design allows the car to enjoy almost no lift at speed, which means some features like the Audi A7's active spoiler, are not required, giving the CLS a slightly cleaner set of lines. This also saves weight for the new Mercedes-Benz and this time, many outer panels, including the bonnet, wheel arches and the boot lid are now aluminium. Mercedes-Benz still uses steel doors though - the heft of the metal is perhaps a part of the luxurious feel and gravitas of a car like the CLS. The doors are a frameless design like the earlier CLS models. The CLS is available with a number of four and six cylinder petrol and diesel engine options internationally. The range topper is the Mercedes-AMG CLS 53 which puts out 435PS and 520 Nm and is aided by a 48V EQ Boost starter-alternator system. The car gets from 0 to 100 kmph in 4.5s and onto a 250 kmph top speed. There is no confirmation but this version should eventually make its way to India. 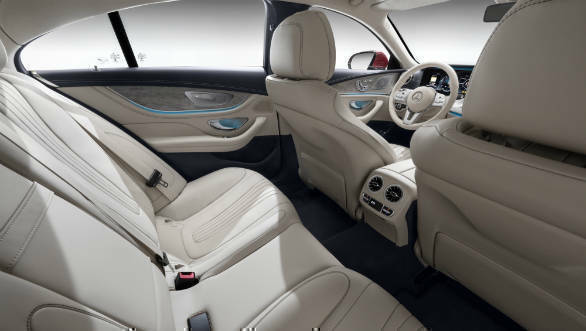 The interiors too are derived from the E-Class. This means the unique turbine-shaped vents will also make an appearance here. The CLS could also feature the Mercedes' MBUX AI-enabled infotainment system. There will a 12.3 cm instrument cluster and another 12.3-inch infotainment screen. There is a bigger cabin than before and the rear seats have two plush looking seats as well as a centre seat for a third passenger if needed. 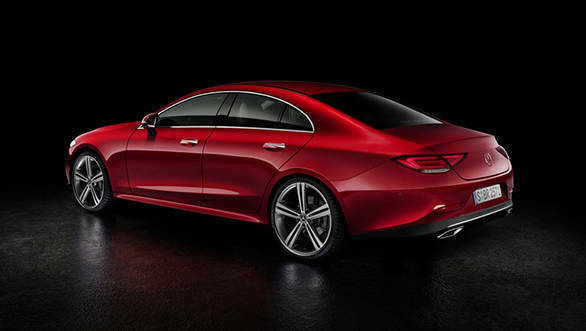 The CLS-Class will be positioned between the E-Class and S-Class and should carry a price tag around the Rs 75 lakh mark. The CLS pioneered this trend of sporty coupe-styled sedans when it first launched in 2004. Most carmakers have since followed suit and no have offerings to fill up this niche, which in itself has now grown to include smaller sedan and even SUVs. The new car will be hoping to make a mark for itself in this now quite crowded segment.